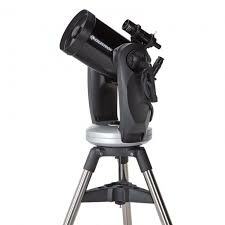 A Dobsonian mounted scope is a favourite choice among amateur and serious astronomers because of its simplicity and incredible ability to gather light. As many sky observers know, the more light a tube can gather, the deeper into the sky you can see and the brighter and clearer the images. 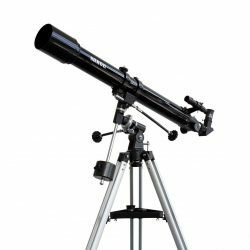 The saxon 8″ Dobsonian Telescope (8 inch) is a great example of an uncomplicated tool that collects vast amounts of light, making astronomy for anyone an extremely enjoyable experience! Base for 8″ dob, just shown here as packed in a separate box for shipping purposes. All hail the stable and solid Dobsonian mount! 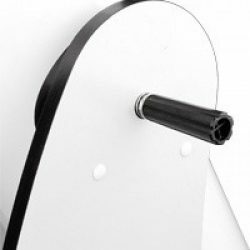 The saxon 8″ Dobsonian Telescope designed with a huge diameter tube and heavy base, makes deep sky observations easy and extremely productive. 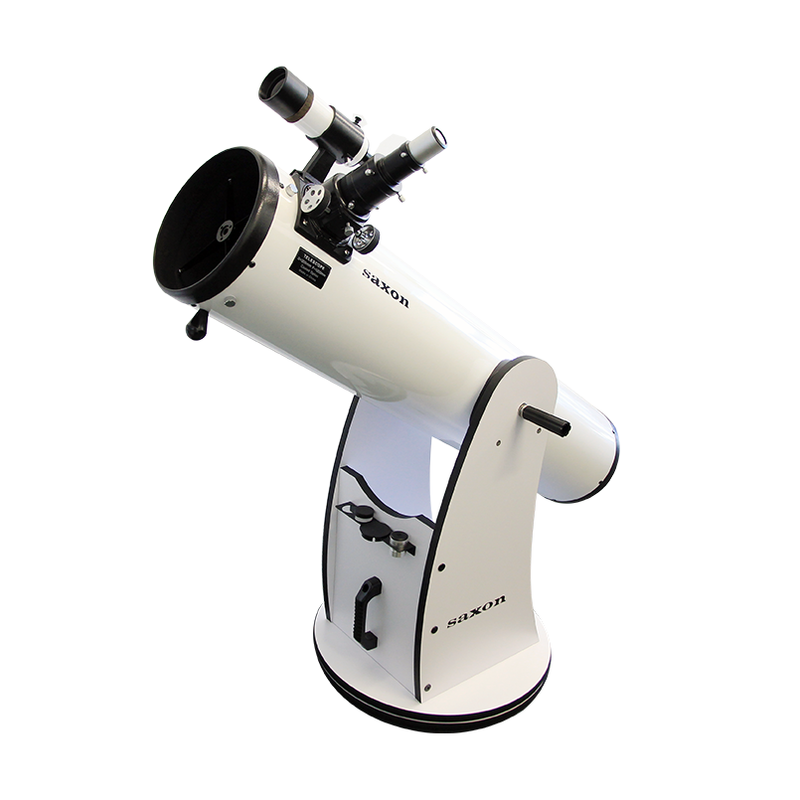 Dobsonians are known in the telescope world to be one of the simplest and most functional in gathering light. It’s no wonder a Dobsonian stays with an astronomy enthusiast for a good many years – due to its minimal mechanical parts, it is difficult to break down! In addition, this model includes a 2″ focuser with a 1.25″ adapter, allowing the use of either eyepiece size. 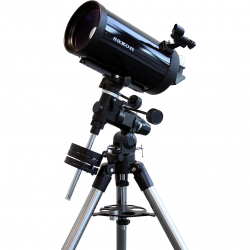 With the saxon 8″ Dobsonian Telescope you get a 10mm and 25mm 1.25″ Super Plossl Eyepiece. This saxon Dob is fitted with a Tension Control Handle (US Patent #6,940,642), to provide a tension adjuster so that users can easily turns to add or reduce tension, thereby increasing or decreasing the friction between the optical tube and the sideboard of the mount. Telescopes then need not be balanced in order to stay in position. A tension adjuster also allows the optical tube to stay in position although the tube can still be moved when prompted. 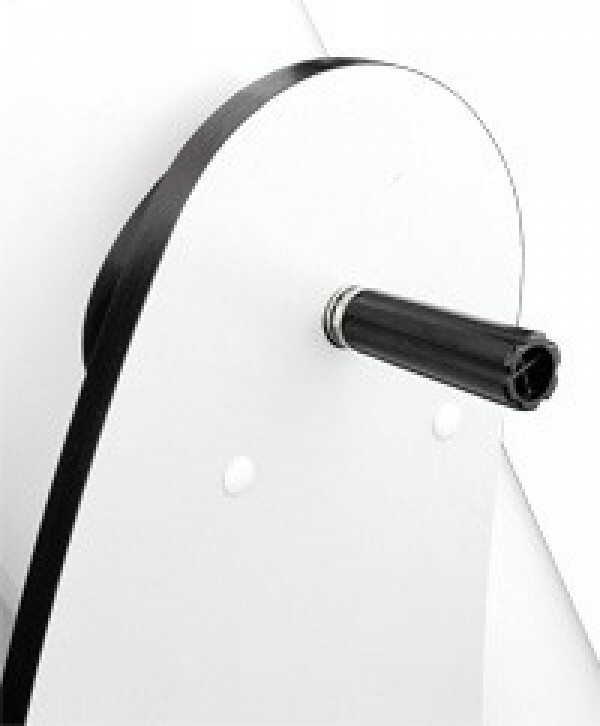 The saxon 8″ Dobsonian Telescope is covered by a 5-Year Warranty. I tell you what there is something really special about see the rings of Saturn and the dusty surface of mars. this is a brilliant first telescope easy to use the only problem is all the lights in my area but I still saw quite alot. 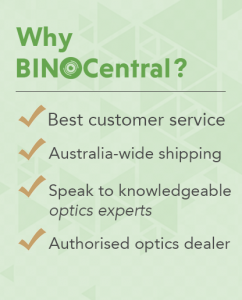 would definitely recommend buying through binocentral and I will definitely be buying through them in the future for all my telescope needs.